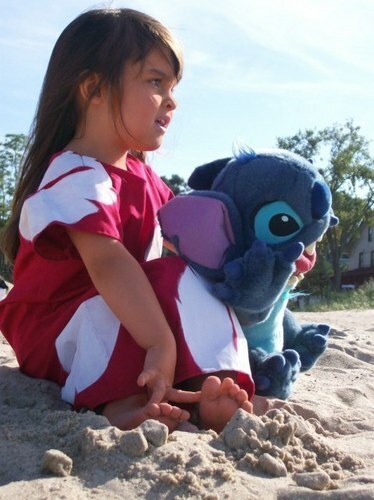 Real Life Lilo. I don't know who is the little girl.... Wallpaper and background images in the Lilo & Stitch club tagged: lilo and stitch lilo ohana means family real. This Lilo & Stitch photo might contain occhiali da sole, occhiali scuri, ombre, sfumature, and pacciame.